If you are looking for a reliable, experience, and customer focused tree removal company in North Epping then look no further than Sydney Tree Removals. One of our friendly staff would love to assist you in arranging your tree lopping, palm cleaning, mulching, or any other tree-related service. Our tree services are second to none in the Northern Suburbs. We perform our tree work in North Epping with the highest levels of safety, professionalism and attentiveness to customer service. 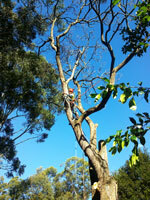 We provide unrivalled tree services in the Northern Suburbs at affordable prices. Our experienced, highly skilled and versatile arborists can work with any sized tree service project - there is no job too big or too small for our team. 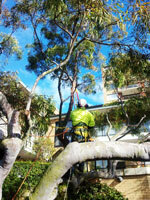 All our tree pruning in North Epping is carried out in accordance with Australian Standards (AS 4373-2007). This ensures that the best industry practices are used on your tree and you can be confident in our workmanship. Sydney Tree Removals is a leading tree service tree lopping in the North Epping area and throughout the Northern Suburbs, you can sure that Sydney Tree Removals will protect their reputation by providing the best tree lopping service possible. We will provide a competitive tree lopping price, with professional and courteous staff, and the arbor skills to ensure your tree lopping experience is pleasant. 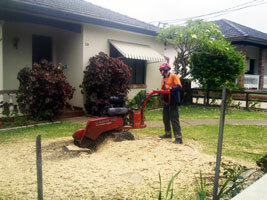 We have many years of experience performing tree loppings in North Epping and for the whole Northern Suburbs. There has never been a tree lopping job that is too big or small for us. We always rise to the challenge.